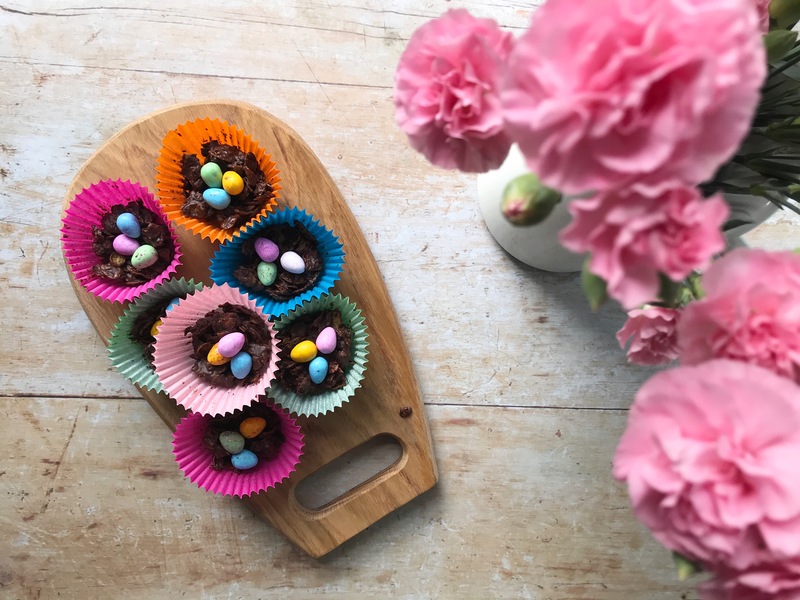 Easter is getting closer, so today I have another sweet (literally) and easy little idea for you. 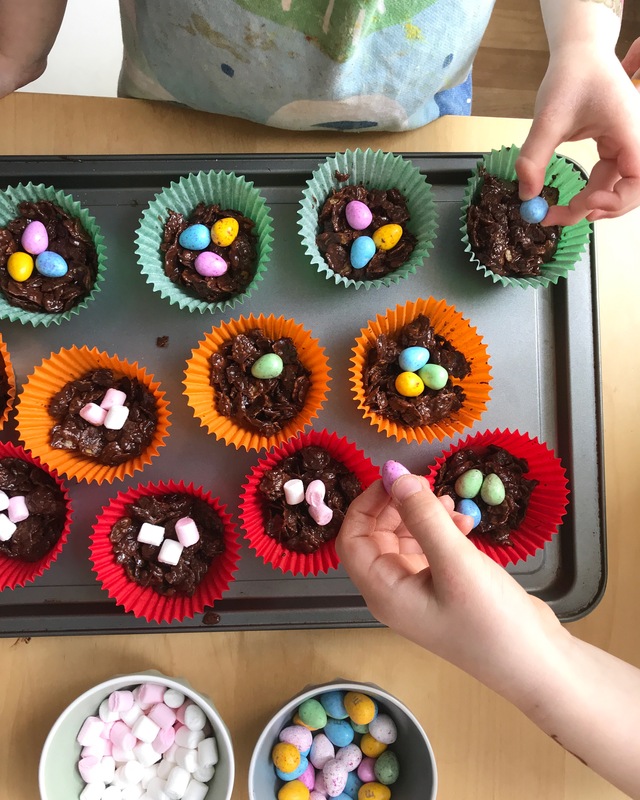 I’m going to share how we made chocolate Easter nests for our German playgroup’s Easter meet-up last weekend. 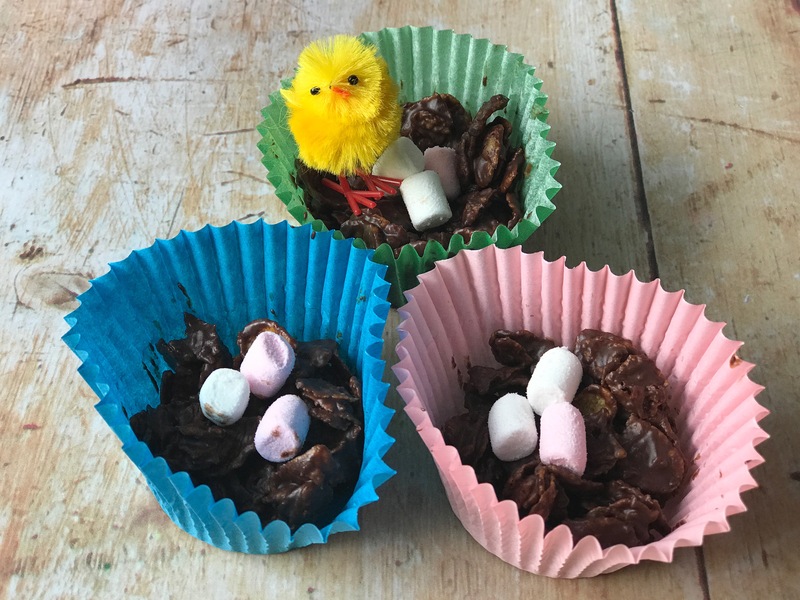 Some folk make their Easter nets with shredded wheat, but since I need to avoid wheat and gluten we make ours with gluten free cornflakes (you’d think since they’re called CORNflakes they’d be automatically gluten free, but many of the regular brands you find in supermarkets have added ingredients in them that contain gluten, so be careful if you need to avoid gluten). If I can get them, I like to use the GF cornflakes that are 100% corn, no added anything, but this time I could only find ones that had added sugar though they were not overly sweet. 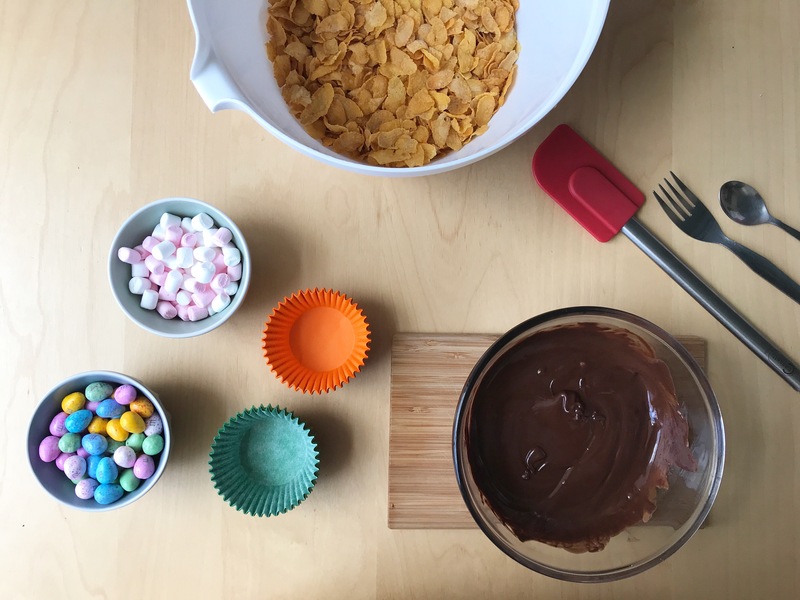 I’ve seem a lot of similar recipes that use golden syrup, but I leave that out as I think smothering cornflakes (especially if they are the added sugar variety) in chocolate is already sweet enough! I do add a squeeze of runny honey though, for a bit of extra flavour. 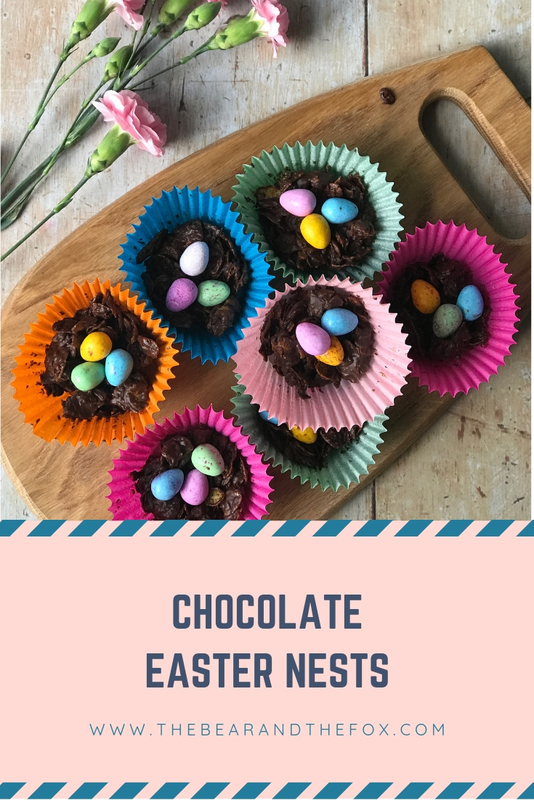 This recipe made two dozen small Easter nests – we didn’t fill them up too much so that we would have plenty to go round. If you don’t need that many, you could halve the recipe or just put more in each! 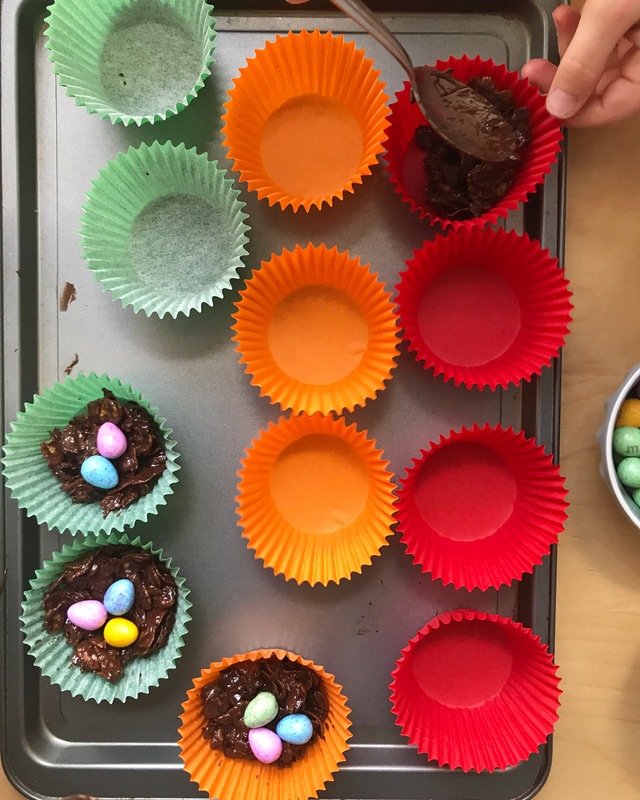 We also used mini marshmallow for half of them (see above), for the kids in our group who were too little to eat chocolate eggs due to choking hazard. 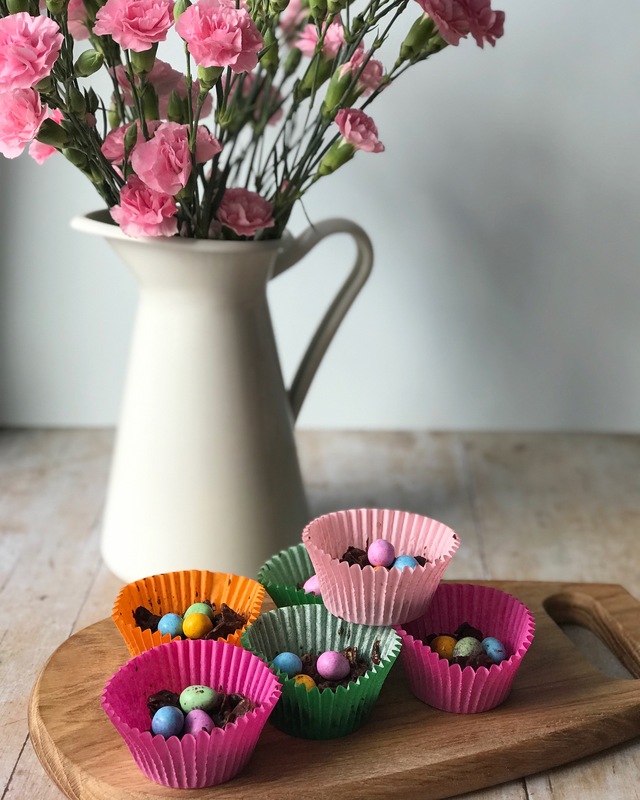 We use a mix of milk and dark chocolate, as I find just milk chocolate too sweet, but just dark chocolate the kids don’t like, so using both is perfect for our tastes. But you can just use 300g of one or the other if you prefer. You’ll also need some cupcake cases, as well as the usual kitchen utensils. Melt the chocolate and butter in a bowl over a simmering pan of water, being careful not to let the bowl touch the water. Once fully melted, stir in the honey. 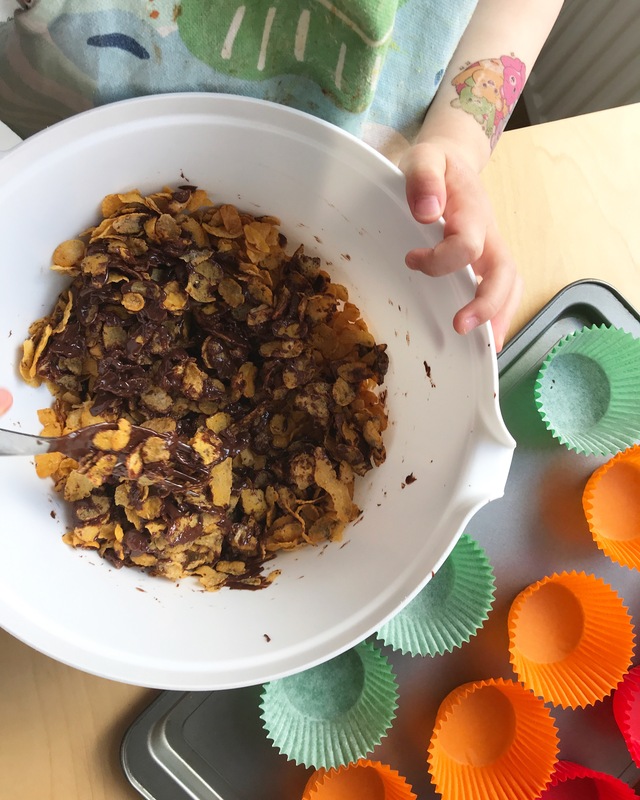 Combine the melted chocolate mixture with the cornflakes in a large mixing bowl – be gentle and don’t rush it, so that you don’t crush all the cornflakes! At first it may seem there is not enough chocolate, but if you are patient and continue to mix gentle if will all come together beautifully. 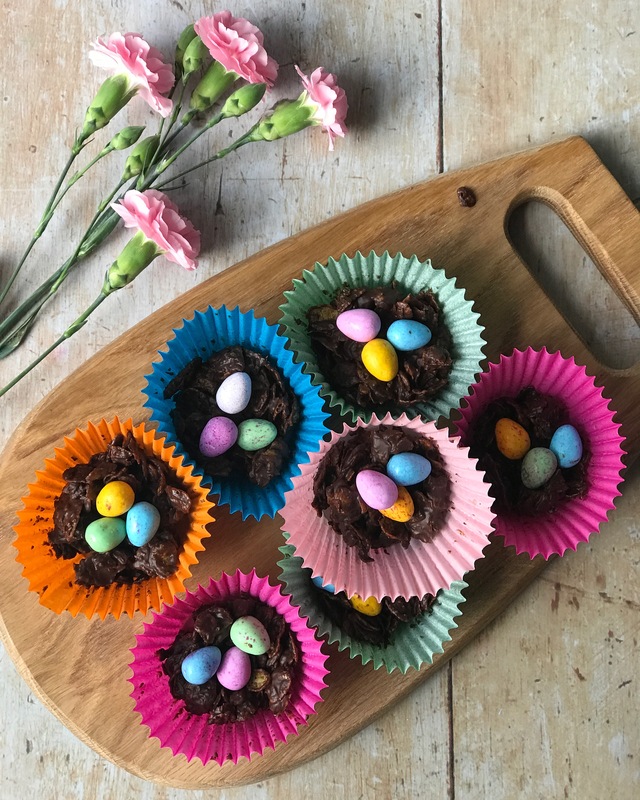 Spoon the chocolate covered cornflakes in to the cupcake cases with a teaspoon, making a little dent in the middle, then place three mini eggs or mini marshmallows in the middle of each. Sit the filled cupcake cases on a baking tray and pop in the fridge for an hour to set. This is the kind of thing I like doing with Erin. Simple and easy! 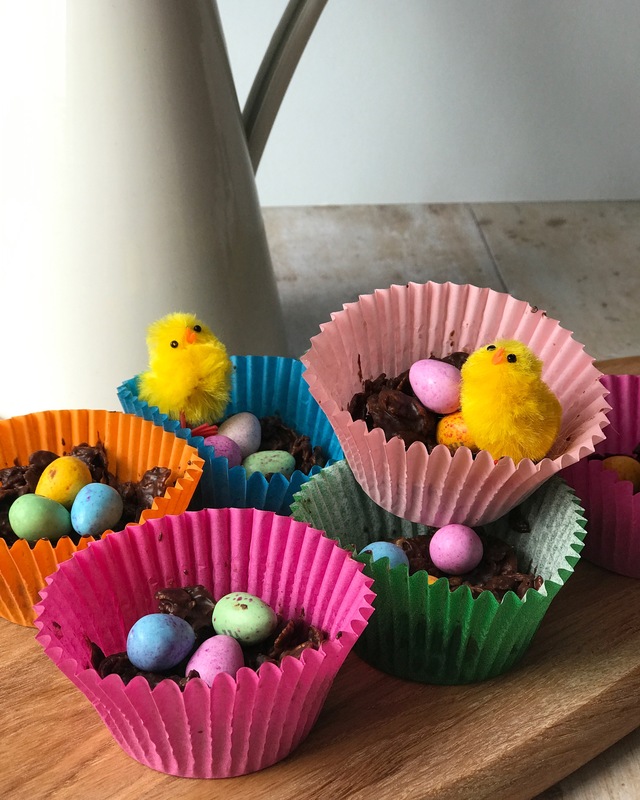 This is a great idea – we’re going to make these tomorrow with the children.